Thank goodness for the internet. I learned a new kitchen technique this week by searching. Now, maybe you all know how to tint coconut, and I probably would have figured something out, but now I know for sure. It’s so easy. I needed to know this technique to make what I’m calling “Over the Rainbow Cake.” I saw a picture of it on the internet (thank you, anonymous person!) and decided I’d have to make one. There wasn’t a recipe or instructions, but I figured it wouldn’t be too hard. 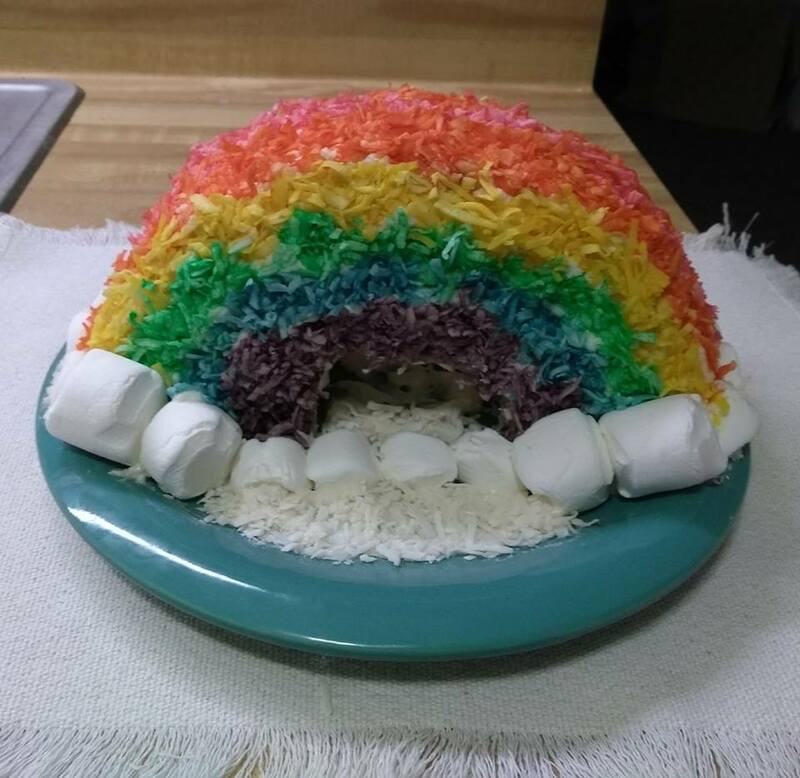 It’s just an angel food cake cut in half, frosted and decorated with tinted coconut and marshmallows. You’ll notice there’s no pot of gold at the end of this rainbow. Disappointing, isn’t it? The leprechaun taunted and teased me and said he wasn’t going to share that information. So I’m settling for the change in my piggy bank. The cake was a gift for the staff at my church for St. Patrick’s Day. I hope they enjoyed it. 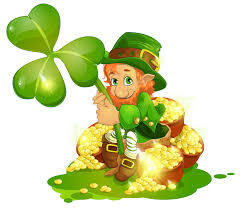 For you, my readers, here are some ways to celebrate whether or not you’re Irish.